Pixi Soccer is a game developed with football-themed retro graphics. You need to smash your finger and pass the opponent players towards you, collecting soccer goals, cups and crampons. If you can not escape from rival players; you lose the game when the opponent gets the ball. With your coin you will collect according to your score; you can choose soccer balls with different features, the form of the opponent's team and the field color. If you use the crampons you have collected from playing or spending coins to drive the ball towards the opponent players, you will be free from the player who comes to you. The soccer ball, a magnetic ball feature, tracks your fingers in real time, allowing you to score faster and get better scores than ever before. 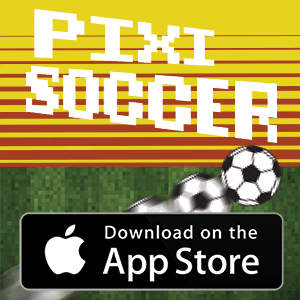 You can download Pixi Soccer from the App Store for your iOS devices. The first release soon for Android devices is in the testing phase.